Summer is almost here and there’s no better time to take control of your housekeeping than right now! For anyone who has trouble keeping up with housework, (and really, who doesn’t sometimes? ), we’ve created this helpful checklist. With this list you’ll know exactly what chores you should be doing, and when you should be doing them. Print this list and look to it for housekeeping guidance all summer long. If you have kids, print off several and use them as chore lists, marking their names next to tasks you’d like them to do. 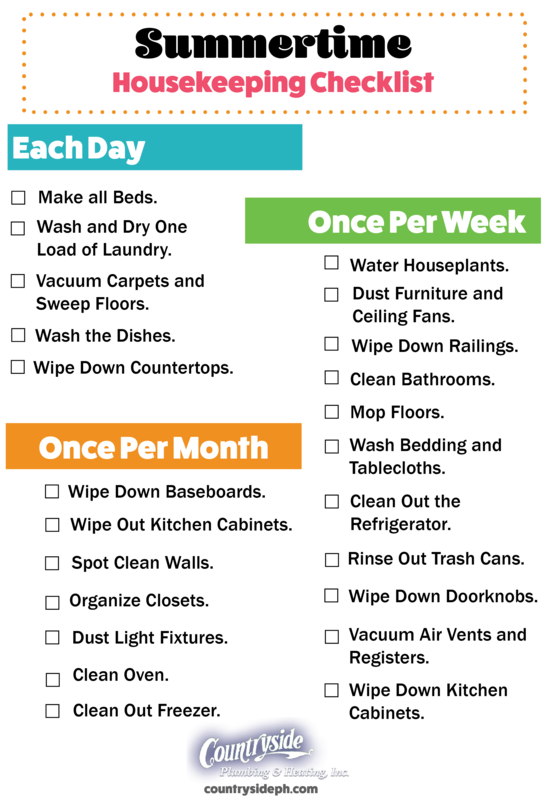 This will not only help you out around the house, but it will also help the kids keep track of what chores they are responsible for completing.